Conferences, presentations and possible customers or partners? No problem! The key to success is to be well-organized and not to trip over cords and wires when you’re in front of an audience and you need to show your project. 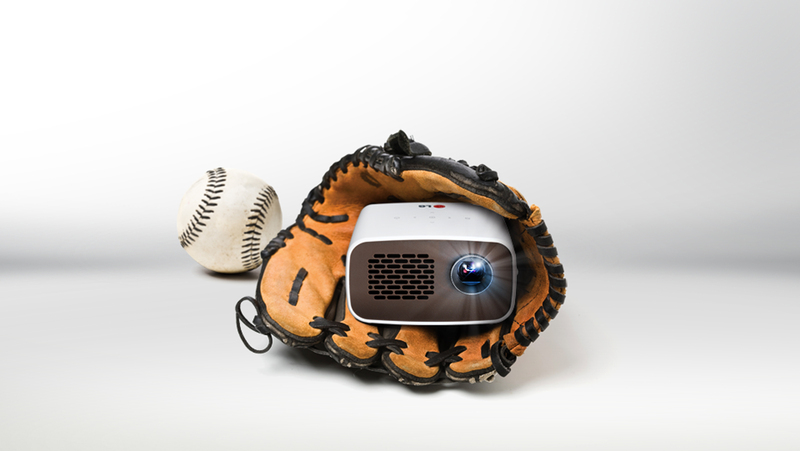 Normally you use a projected presentation to inform work groups about what you’ve been working on, you will use a video projector to project an image or video to a screen or wall, using a lens system. Most of the video projectors need to be placed near power outlets and they connect to laptops with HDMI because they don’t support a cable free connection with WiFi. The LG Minibeam PH300 will get you out of trouble and it’s not even expensive. It costs only $449.99 and you can order it directly from LG’s website. 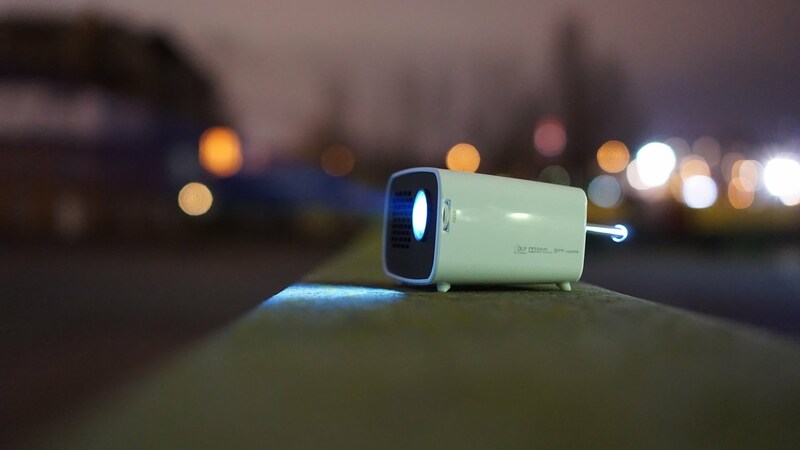 The LG Minibeam PH300 is a small Minibeam LED projector that offers great picture quality and comes with an embedded battery that lasts up to two and a half hours, it has a built-in digital tuner. The best alternatives for this product can be considered the ZTE SPro, which costs $400, or the Epson EX7235 Pro, which is priced at $599. If you buy the LG Minibeam PH300, you will also need to get a Wireless HD Video Extender Kit such as ST121WHD, which costs $315.49, unlike the Epson EX7235 Pro or the ZTE SPro, which are Wifi-capable and come with Android on board, this projector does not support WiFi connectivity, but it has a similar spec sheet. The LG Minibeam PH300 has a combination of retro and modern design, being inspired from things like a classic radio and TV, it doesn’t have a tact button and its decoration has been minimized, to offer maximum satisfaction. If you’re familiar with LG’s products from the past, then you will like the Minibeam PH300, which has a brown front and a white body. Its physical dimensions are 112x64x85mm and it weights 431grams, being much smaller than the ZTE SPro, which measures 120.6×120.6×28.5mm, but this product is lighter at 400grams. As for the Epson EX7235 Pro, its dimensions are more than double (297.2×228.6×76.2mm) and it weights 2.68kg. To build the exterior of the Minibeam PH300, LG used plastic and the device feels sturdy enough, and it can be carried around many times without suffering any damage. Still, you may want to user a sleeve or a case to cover the projector, because the white part will get scratched and the scratches will be visible. On the front you’ll find the cutout for the LED bulb and intake fan slots, while the power port, the HDMI port, the USB port, the 3.5mm audio jack, the power switch and coax input for the built-in TV tuner are found on the back. The audio will be pumped out through a speaker grill which was placed at the bottom. At the top you’ll see the LG logo and a bunch of capacitive buttons which are used to power the device, to access the settings menu and for navigation. The Minibeam PH300 “sits” on four angled rubber feet, but to keep it fixed, you will use the tripod mount. The LED bulb outputs up to 300 Lumens (beating the ZTE SPro’s 100 lumens) and the lamp will last up to 30,000 hours. The LG PH300 will project 720p videos with 16:9 or 4:3 aspect ratio and it supports a variety of files: Word, Power Point, Excel files (which will read from a USB stick), HD DivX video files, JPEG images and even MP3 files. If you have an Android device and want to mirror content from it, you will be able to do that without a problem, the device has a HDMI input which is MHL compatible. However, for iOS devices, you will need an adapter. The projection distance is between 20inch and 100inch and the contrast ratio is 100,000:1. The LG PH300 is HD-Ready and comes with TV Tuner Integrated and DC in Jack. As we said, the LG PH300 performs very well for a mini projector and the 720p resolution is decent for projecting HD content, but it can’t compare to other larger projectors supporting 1080p. Luckily, you will be able to adjust the color accuracy from the settings menu, to get a better user experience, but it won’t be too complicated to go through the settings. Your projected documents will be easy to read and you will love watching movies without complaining about the color accuracy. We recommend you to keep the lights dim, because the 300 lumen bulb won’t perform well in brightly-lit rooms. Obviously, you will need to connect the LG PH300 to a laptop using the single, full-size HDMI port, and you will be able to mirror content without a problem. What is awesome is the fact that the project supports media streamers such as Fire TV Stick and Chromecast.